Our son is obsessed with driving his cars all over the house. I don’t know what it is, but give him a car and he is set for hours! So naturally when we discovered Mickey and the Roadster Racers on Disney Junior he was hooked. Both our kids love watching their favorite Disney characters race around Hot Dog Hills. We recently realized our kids love to act out their favorite shows even when the episode is over. Do your kids do this? 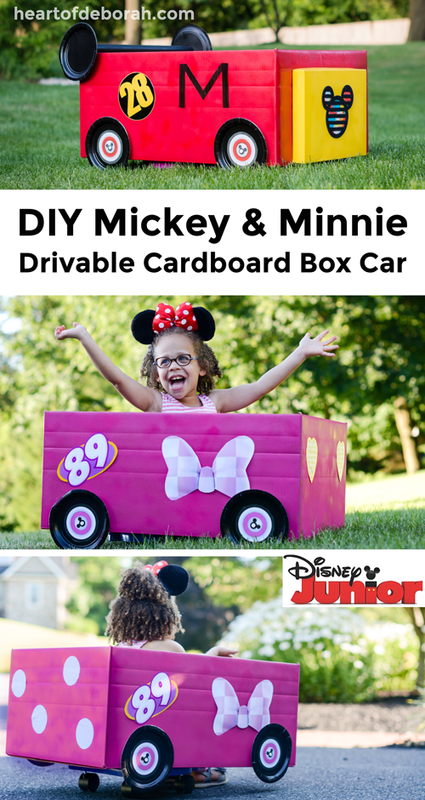 To help our kids act out one of their favorite shows we partnered with Disney Junior to create our own Mickey Cardboard Box Car that moves! Now Izzy and IJ can race around our town or be a happy helper in their spruced up cardboard box cars. To make the cars drivable we attached scooters to the bottom. Then we cut out a foot hole so the kids can move around on the driveway. 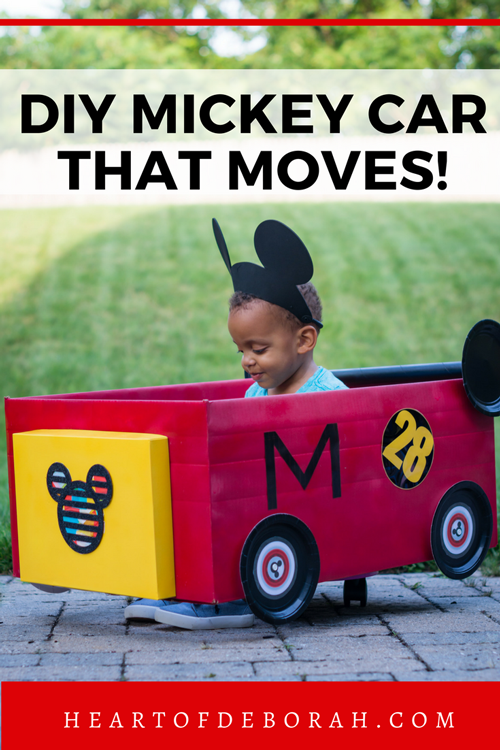 Find out how to make your own your Mickey or Minnie Roadster Racer below. 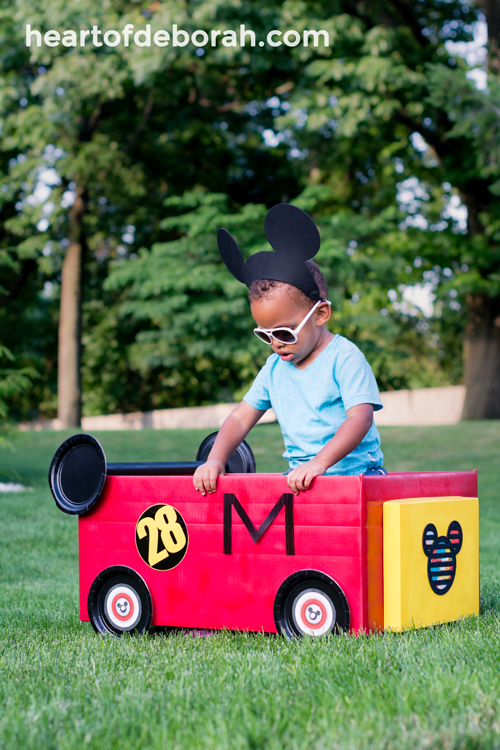 *The supply list is for one Mickey and the Roadster Racers box car. First, gather your supplies. Then spray paint the box. Make sure you allow the box to dry for 24 hours before handling. You may need 2 to 3 coats to cover the box completely. After your spray paint dries it’s time to attach the scooter. We used wood screws and large plaster washers to hold the scooter in place. Place the scooter near the middle of the box. Ensure there is enough room to cut out a hole for your children’s feet to pedal the ground. We didn’t want the screws to stick out on the bottom of the scooter so we drilled the screws into the wooden blocks as anchors. Finally, we cut a large hole with a box cutter so our kids could drive the car with their feet. 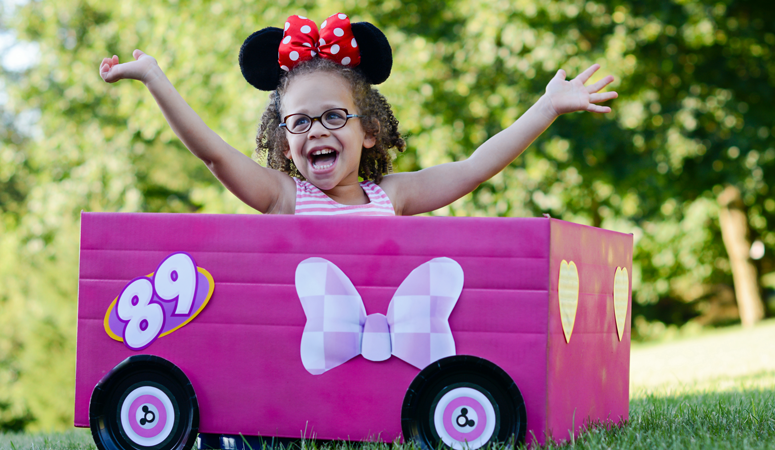 Watch the video below for more details on how to assemble your own Disney inspired box car. Now it’s time to decorate! We found the perfect Roadster Racer play pack and printed out our favorite decals on glossy sticker paper. 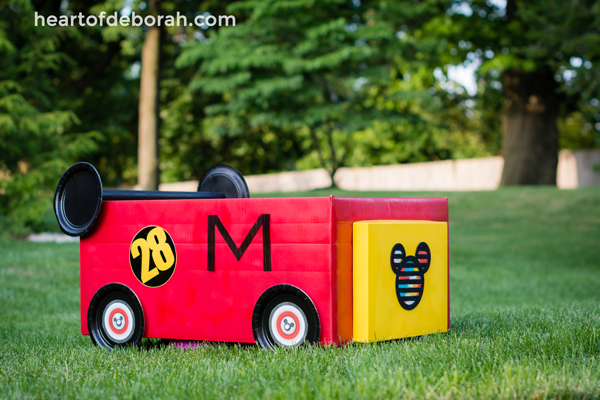 We added decorative wheels and a Mickey spoiler with black paper plates and fasteners. 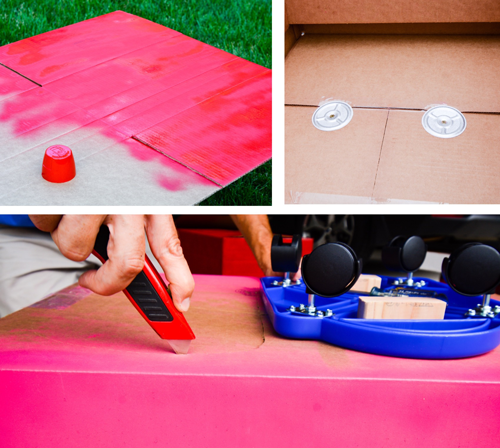 You can make your drivable cardboard box as fancy or simple as you’d like. Kids will have a blast driving their car no matter what! Izzy and IJ absolutely love driving their boxcars around the house. 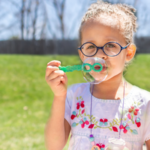 Izzy is almost four and her imagination is growing each day. She loves to put gas in her car, go on the racetrack and park at the store. We often hearing her singing “Mickey and the Roadster Racers” as she drives around. Do your kids watch Mickey and the Roadster Racers? Who is their favorite character? 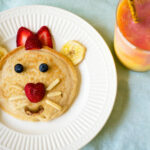 Don’t forget to tune into the Disney Channel every FRiYAY morning this summer for all new Disney Junior episodes. Episodes air first on the Disney Channel! This is a sponsored conversation written by me on behalf of Disney Junior.